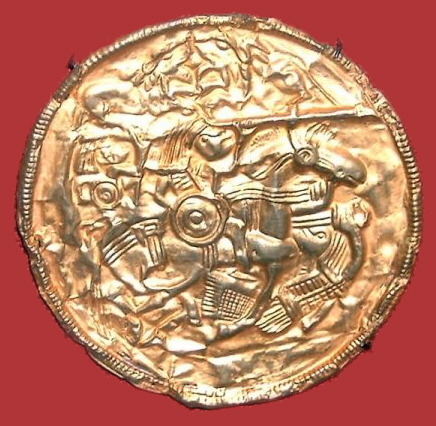 The Alamanni, Allemanni, or Alemanni were a band of west Germanic tribes. They lived around the upper Main, which is the longest tributary of the Rhine. 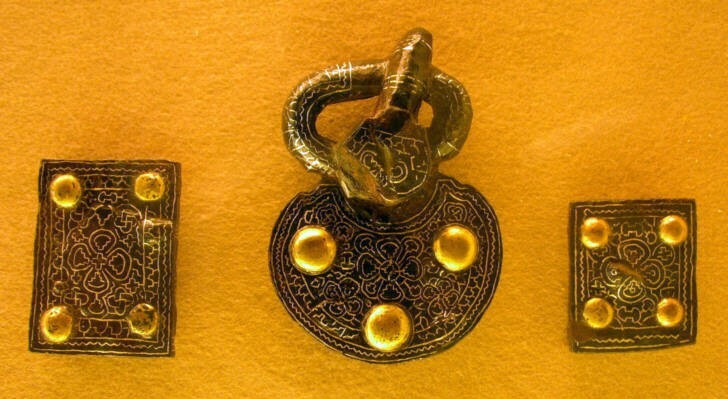 Alemannic belt mountings, from a 7th-century grave in the grave field at Weingarten. Alamanni Facts for Kids. Kiddle Encyclopedia.